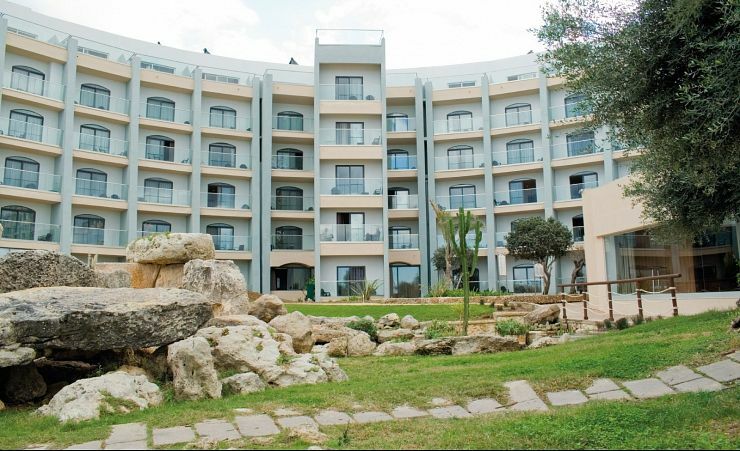 With its contemporary features and facilities, the Dolmen Hotel makes a wonderful base for your Maltese holiday. Nestled on the edge of the sea, this impressive, largely glass-fronted hotel gives you a unique vantage point on the Mediterranean and St Paul's Bay. Location wise, there aren't any better places from which to explore the island. You'll be within easy walking distance of Bugibba and Qawra, ready to step out and experience the joys of Malta. 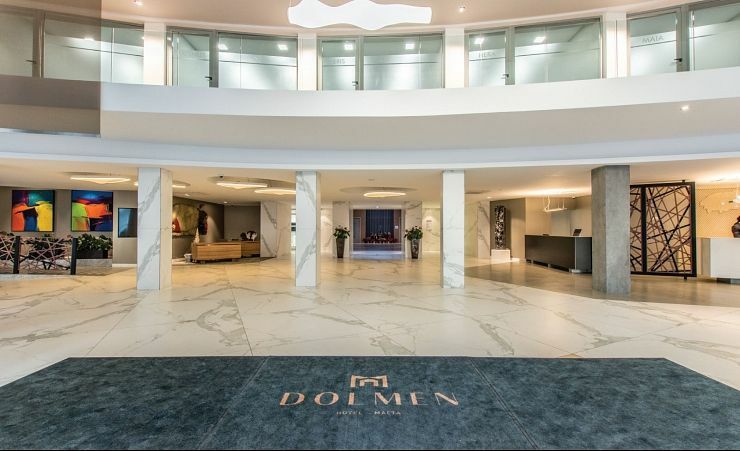 The Dolmen Hotel is a unique fusion of ancient and modern – the state-of-the-art interior with its modern facilities contrasts with one of the garden's most eye-catching features – the remains of a Neolithic temple. 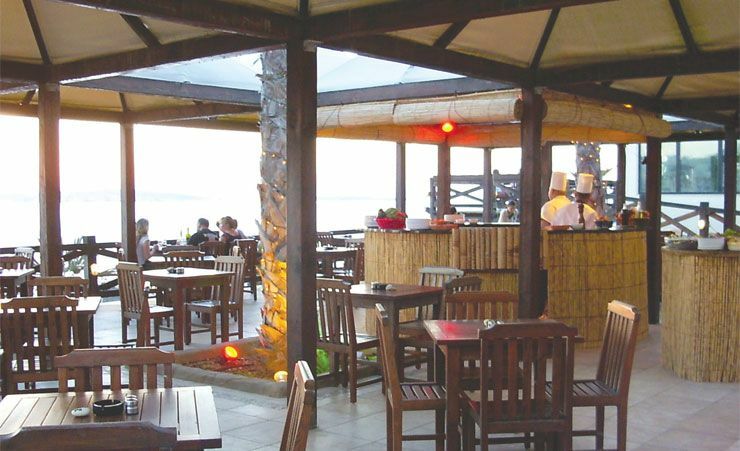 Facilities at the Dolmen Hotel are wide-ranging and include plenty of fun additions, including its own private beach, a casino (the only in-house casino on the island) and two restaurants. Every day can also include a visit to either the hotel cocktail bar. 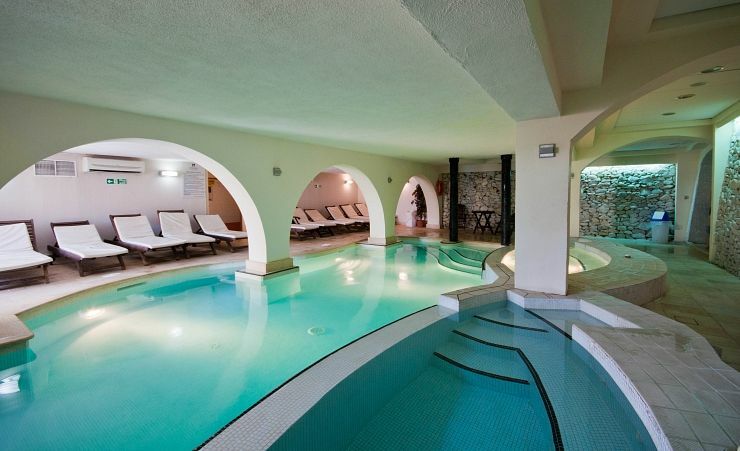 There is a state of the art spa and four swimming pools as well as a dedicated children's pool. Rooms at the Dolmen Hotel are all air-conditioned, and feature satellite TV, direct dial telephone, safe deposit box (at a small local charge), hairdryer and minibar. Wi-Fi is also available for a small charge. 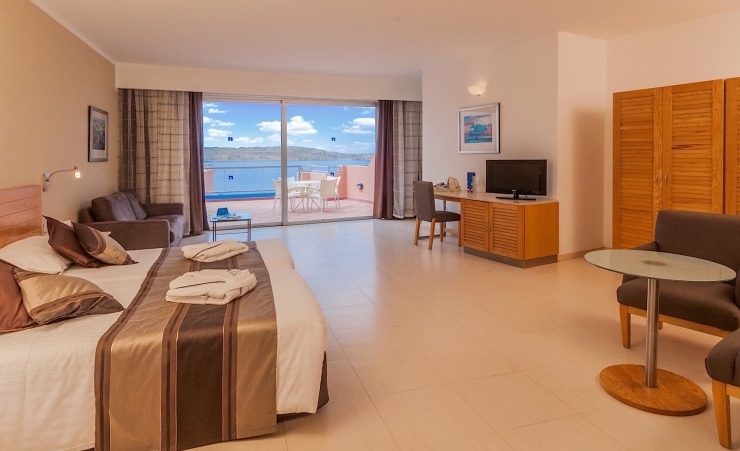 Many rooms feature a balcony or terrace, and sea view rooms are also available. The location, the facilities, the view and the ambience make the Dolmen Hotel a wonderful venue for your holiday in Malta. There's just so much here to keep you entertained. You can while away the hours with a drink and savour that amazing view, or venture out and about to enjoy the holiday lifestyle in Bugibba. Wherever you want to be in Malta, the Dolmen Hotel is a great place to start. 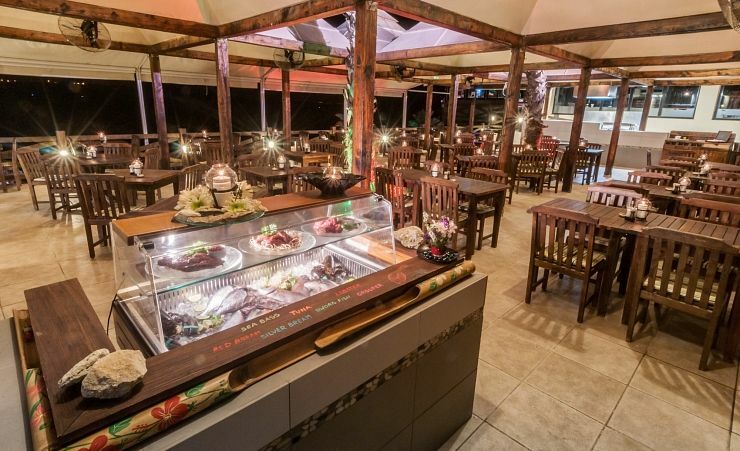 Guests on Half Board get Half Board plus which includes breakfast and dinner plus unlimited local house wine, soft drinks and mineral water during dinner. Explore more of Malta when you book with us by taking advantage of our exclusive car hire deal. For only £25 you will get the use of a category A style car for 3 days allowing you to get around the island with ease. If you want to know more, please speak to our Reservations team. Offer does not include an optional collision damage waiver which can be booked locally for ?10 per day. 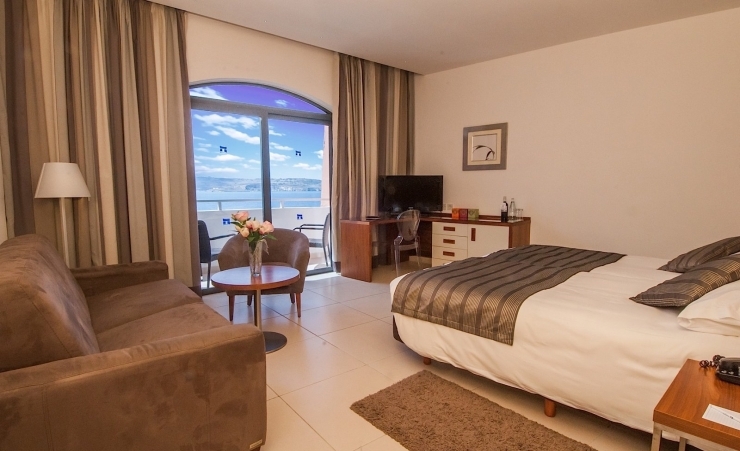 Find out more about your accommodation and the in room facilities at the Dolmen Hotel . Designed with your comfort in mind, the standard rooms are light, friendly and welcoming. Overlooking the beautifully landscaped gardens, Mediterranean Sea, Impressive Neolithic Temples and St. Paul’s Bay. The resort's rooms are generous in size and offer all our great standard room amenities. These rooms include an LCD television, Wireless High Speed Internet Access, and a cosy sitting area to make your stay at the Dolmen Resort Hotel more relaxing. Superbly situated on the top floor with panoramic views of the Mediterranean Sea and St. Paul’s Islands, the resort's Suites allow guests to wake and sleep within view of the beautiful sea. Expansive windows, which overlook the waterfront, allow the magnificent colours, sights and sounds of this idyllic setting to stream in, casting a spectacular light over these clean and comfortable guest rooms. Situated on Malta's North East coast, St Pauls Bay is the largest and most popular holiday resort on the island. This former fishing village has something for anyone from families to singles and travellers of all ages. 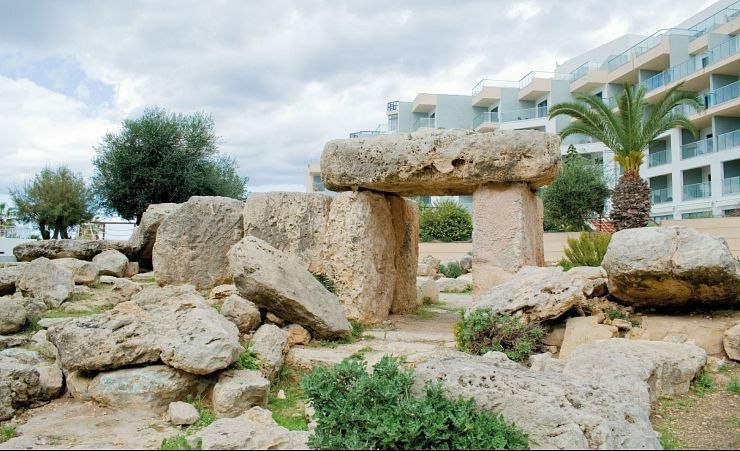 We have visited the Dolmen on 10 occasions, we find it very good in all aspects, cleanliness, food, staff, friendliness, etc, It is also well situated for use of the local transport. Very good hotel. Look forward to receive all the offer in future. Mercury rep at Luqa airport met us and took us to check in. Very helpful to all passengers. Could not ask for a better hotel. Jonathan the representative in our hotel was helpful and knowledgeable. We did island tour with Rose what an excellent guide so much information on the wonderful old capital and Mosta and the whole island she was everything you could wish for for a guided tour. We have stayed at this hotel before and had a very nice time. The hotel, location, staff, rooms and the food are all excellent. We will highly recommend this hotel. The organisation and service provided by all the staff is highly commendable. This is our second stay at the Dolmen, we absolutely love it there. We actually got engaged there in the Batubulan restaurant watching the sunset, beautiful evening, one definitely to remember. The frontline staff, particularly Astrid were fantastic and thought nothing of going out of their way to help with anything. The facilities were fantastic as were the breakfasts and the spa. We also enjoyed the evening entertainment, one of the artists Ozzy Lino we liked immensley, we went to see him perform in Tigne Point, amazing night. We will be returning next year. Can't wait! I think this is probably the best hotel to stay at in Malta. 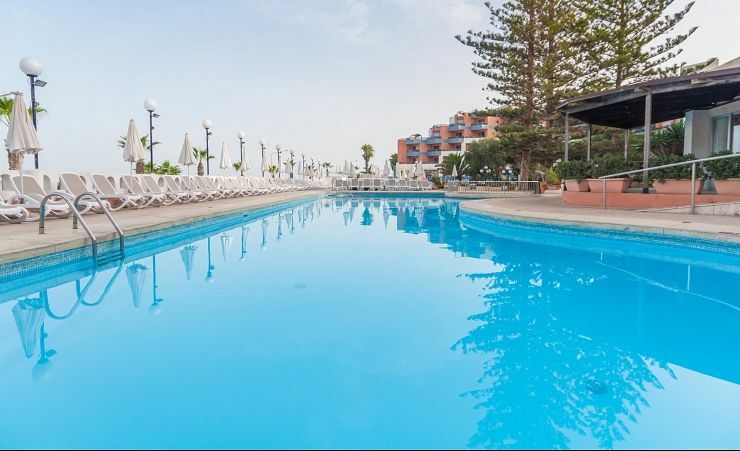 Has numerouss swimming pools, spa, gym (which I never used), ironing room, the staff were very freindly and helpful and its a stone throw from the sea and the bus station. Public transport is very good an cheap in Malta if you get the weeks bus pass. We have been holidaying since I can not remember and this is the best hotel we have ever stayed in. Excellent hotel and really liked the changes due to the refurbishment and the new indoor swimming pool was especially good. Lovely staff and felt sad to leave. Especial thank you to Mercury and the Dolman for allocating us with the rooms we requested. 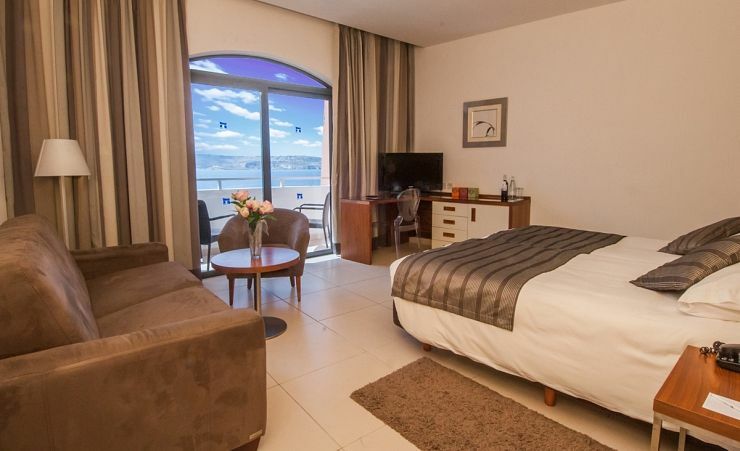 This hotel is ideally situated on the sea front with beautiful views of St Paul's bay plus the bus station is close by so hopefully you get a seat on the very busy and overcrowded buses. Friendly staff, all public areas kept very clean. Lots of choice for breakfast. Dekos cafe in the hotel does excellent food. Great hotel, everything good. We had a lovely room with excellent view. FROM RECEPTION STAFF TO CLEANING LADY, NOTHING WAS TOO MUCH TROUBLE. SPECIAL SHOUT OUT TO THE ANIMATION TEAM WHO KEPT EVERYTHING FLOWING ROUND THE POOL ALL DAY.YOUNG AND OLD, EVERYONE WAS INCLUDED. A GREAT TEAM BUT TOP MEN WERE FRAZER AND LIAM. WE WERE MET AT THE AIRPORT BY A LOVELY SMILEY LADY WHO RECOGNISED OUR MERCURY TAGS AS WE WALKED THROUGH, SO WE VERY WERE WARMLY GREETED FROM THE START OF OUR HOLIDAY. I ONLY HAD TO MEET YOUR REP ELEANOR ONCE BECAUSE WE KNEW WHAT WE WERE GOING TO DO DURING OUR STAY BUT I WAS MADE AWARE OF WHERE TO FIND HER ON HER VISITS TO THE HOTEL SHOULD I NEED HER FOR ANYTHING. LOVELY FRIENDLY LADY AND VERY REASSURING. Lovely hotel,The Dolmen,staff very good,helpful,good location. Had a very pleasant stay at the Dolmen. We were allocated the rooms we requested which we like because of the views. Could not fault the cleanliness of our rooms or the hotel generally. The hotel copes very well with functions such as the international summits in November without disrupting the holiday guests. The biggest asset this hotel has is the staff. It is a well-situated, first class hotel in which the staff, certainly in my experience, were nothing but helpful and courteous throughout. 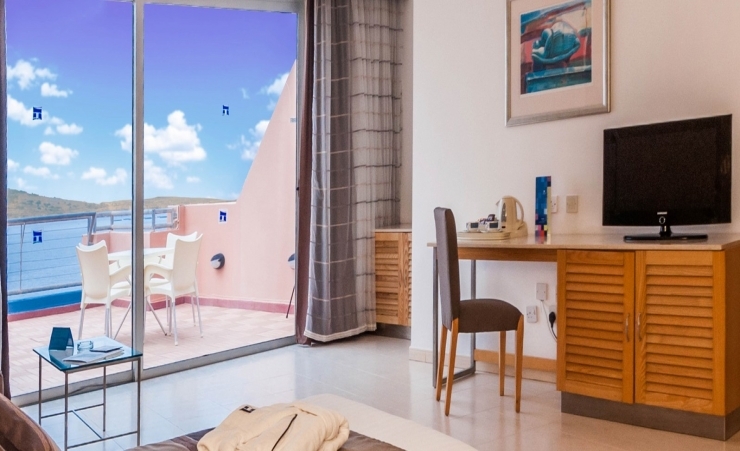 The general facilities are very good; my room on the 5th-floor, was modern and stylish with a small balcony overlooking the pool areas and towards the sea. 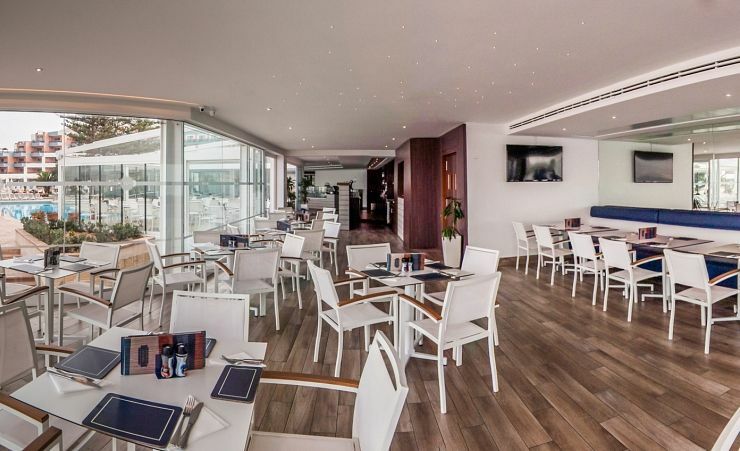 The smart reception area provides a large open space to relax, and the bar and dining areas are good, particularly the Delos CafÃ©, which is a bright, vibrant area that serves very good quality food when not using the main restaurant. The main restaurant serves breakfast and dinner to those on Half-Board. The food is diverse; this is an international hotel so has to cater for many tastes. Meals can be taken in one of two evening sittings and now having drinks included with your meal, is a good idea. Free and unrestricted access to Wi-Fi was another excellent feature, and personally I had no problem with it at any time.